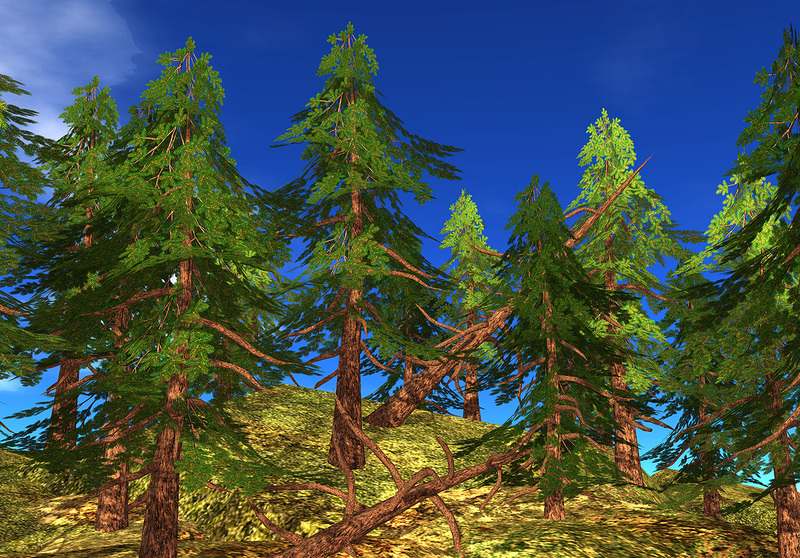 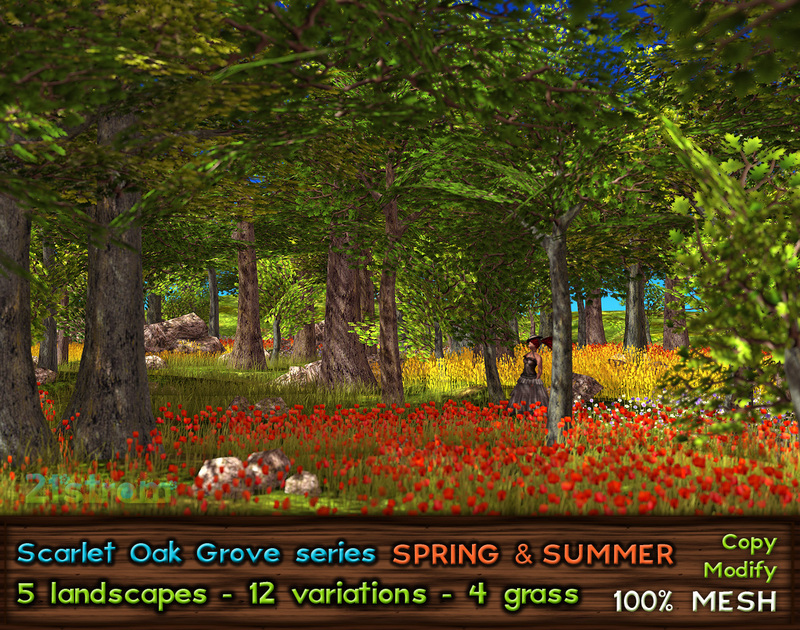 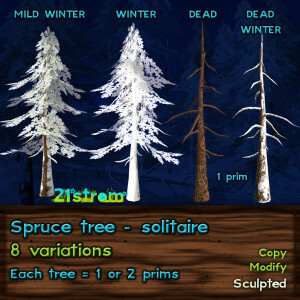 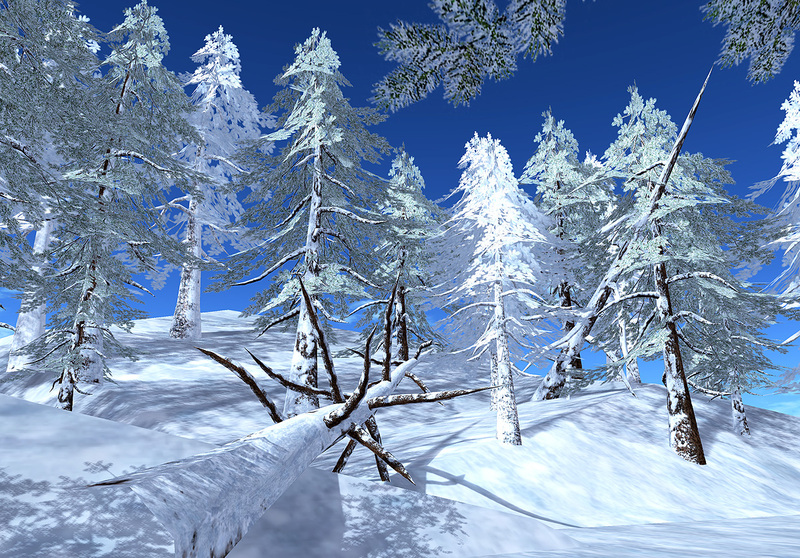 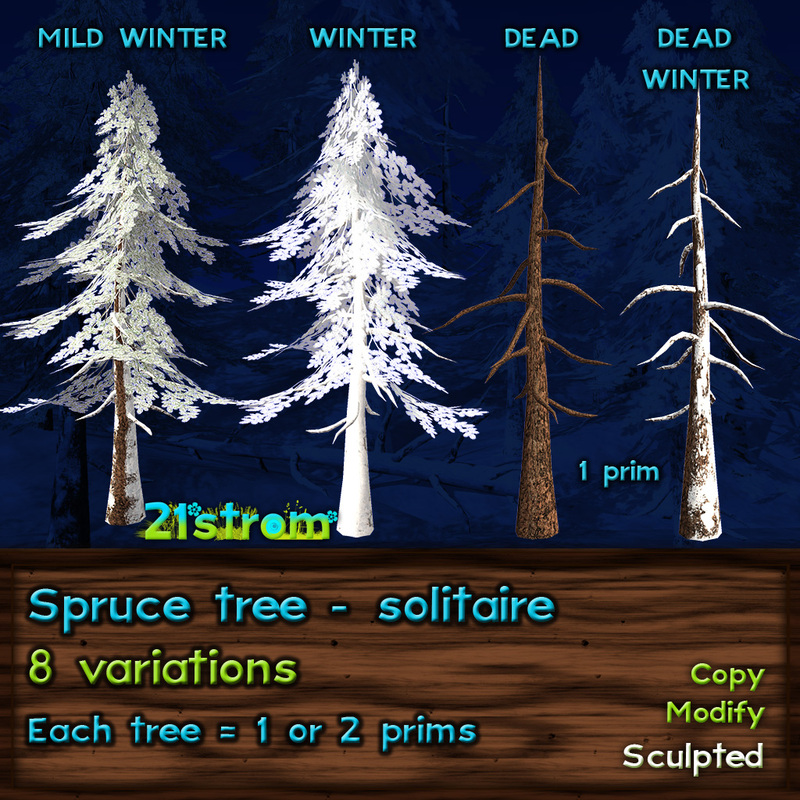 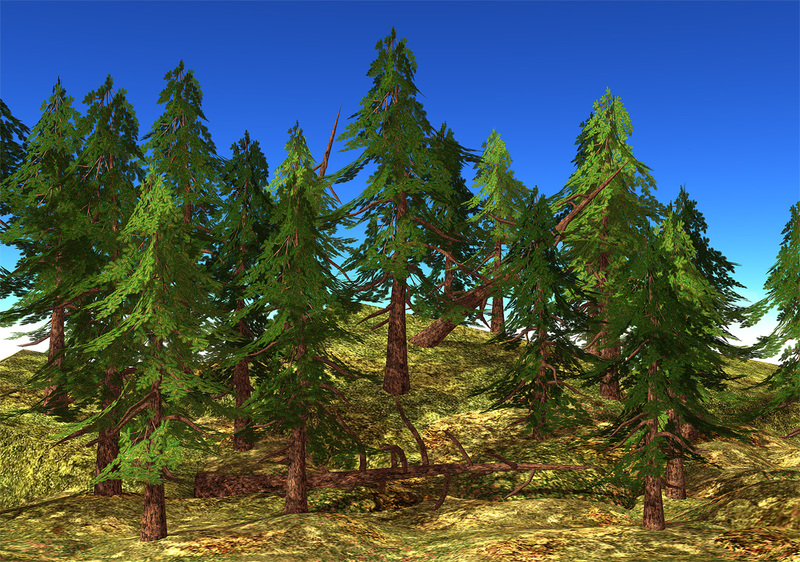 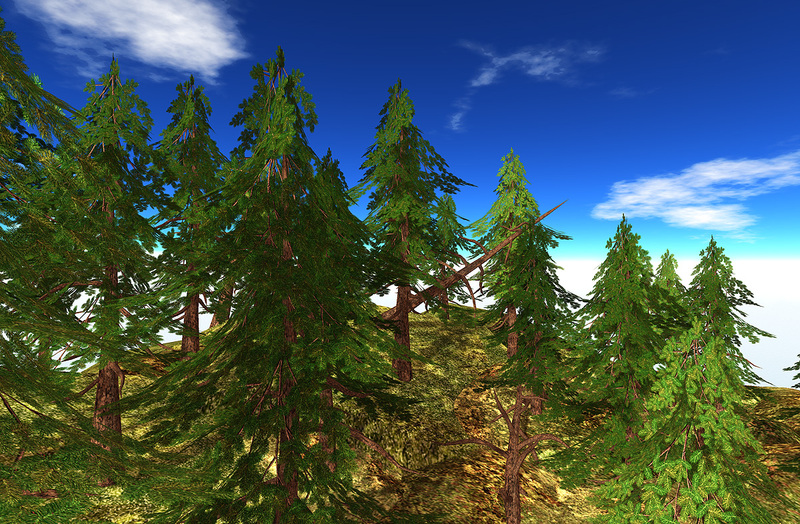 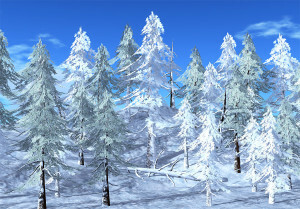 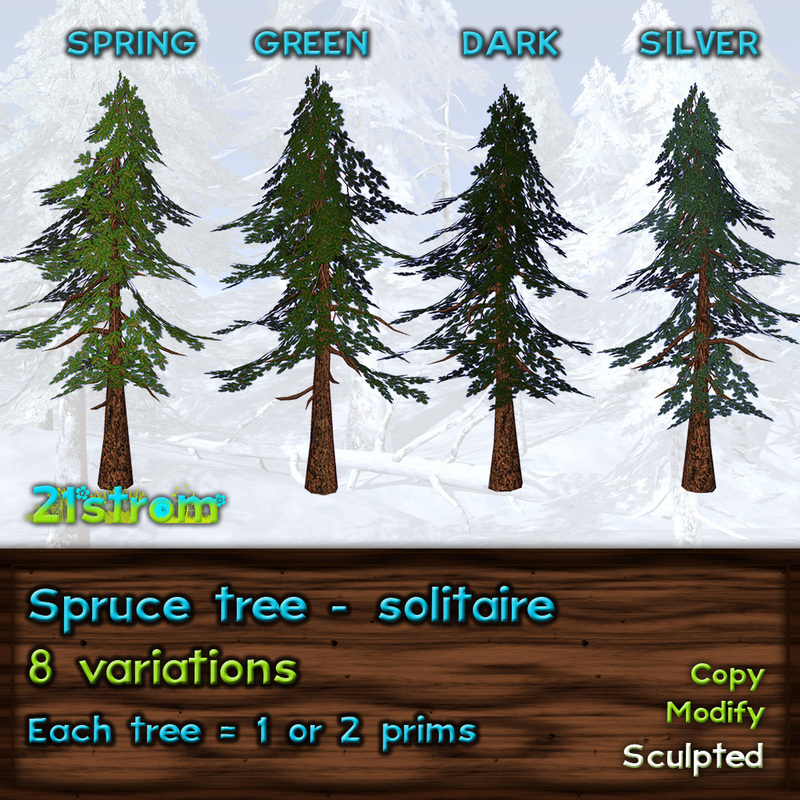 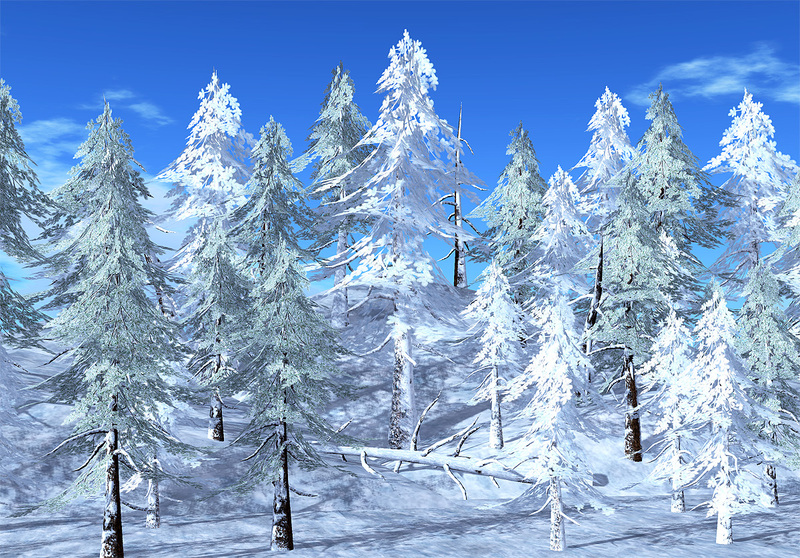 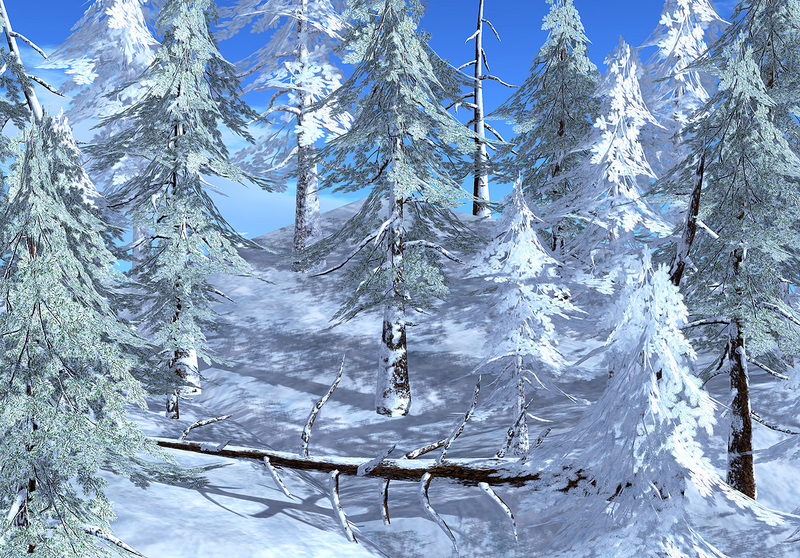 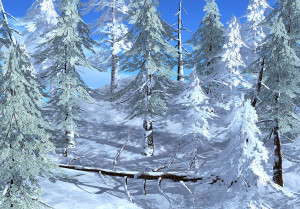 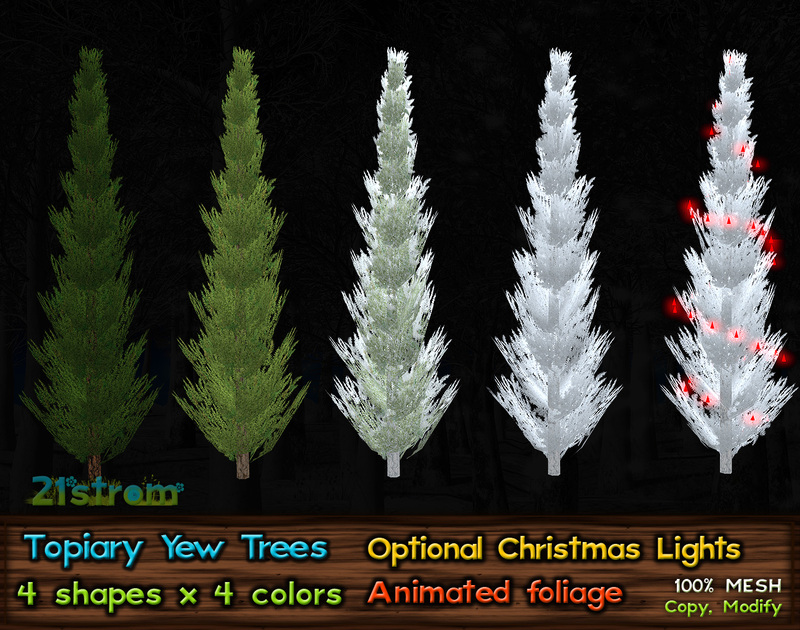 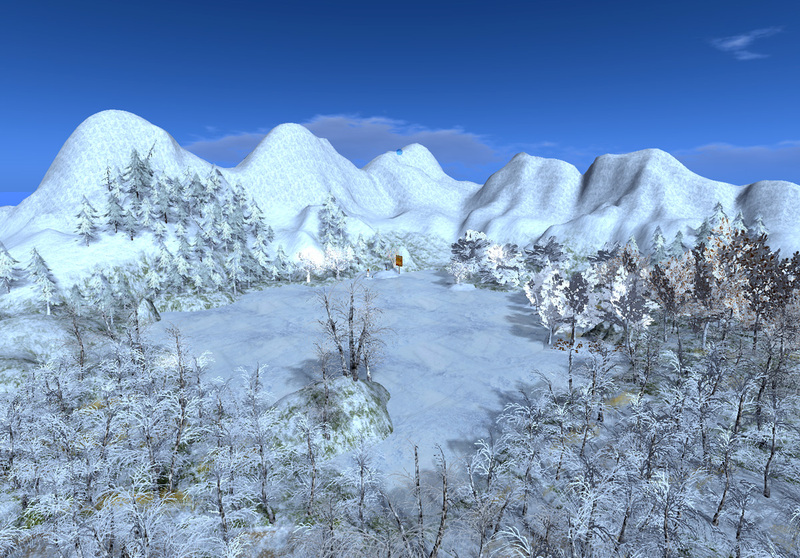 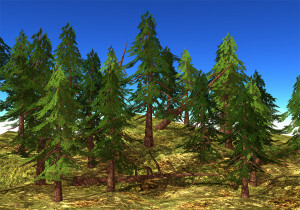 Spruce Solitaire tree is a set of very low prim sculpted coniferous trees for all seasons in 8 variations. 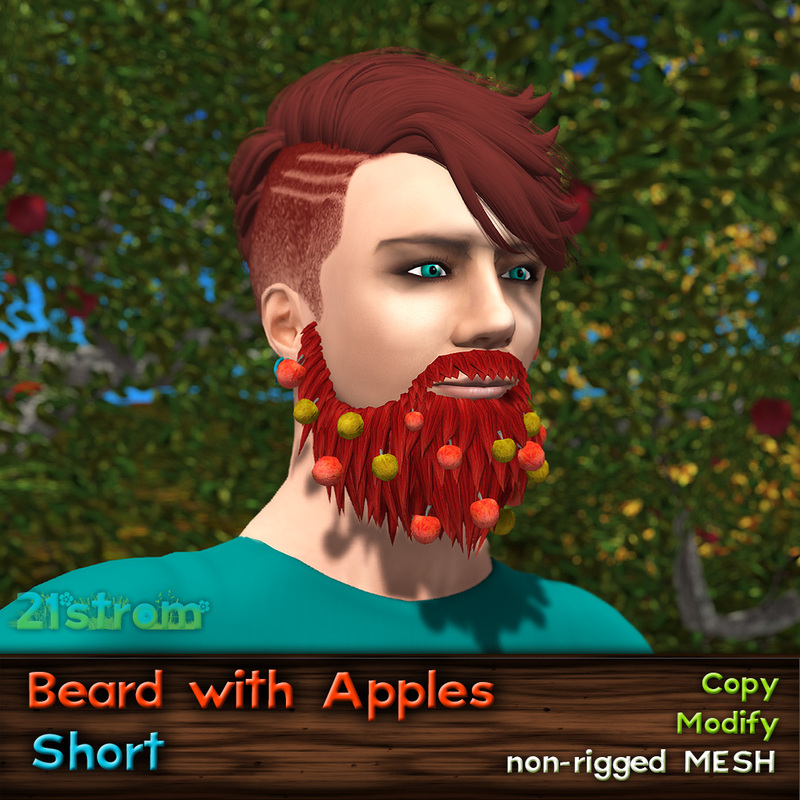 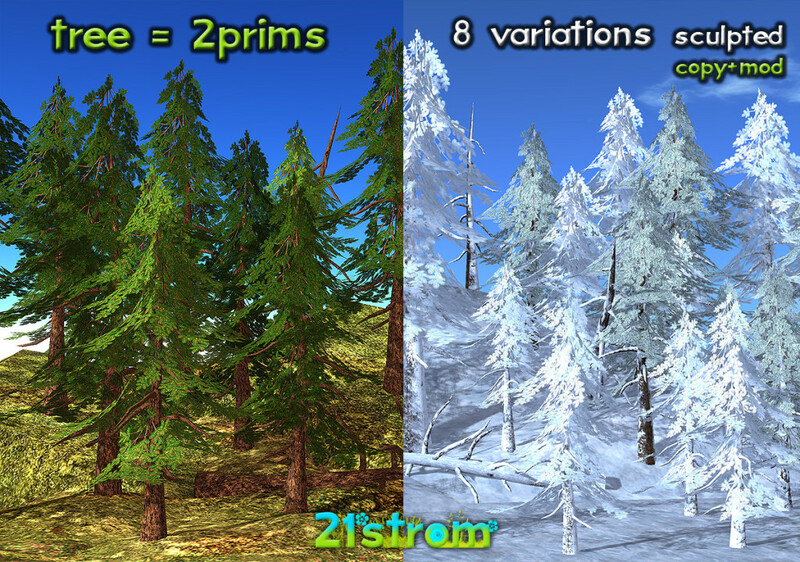 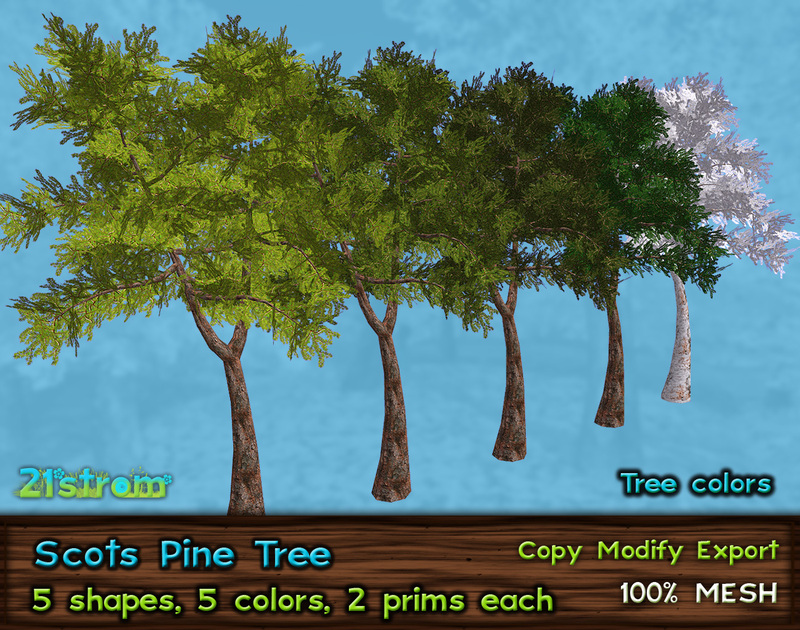 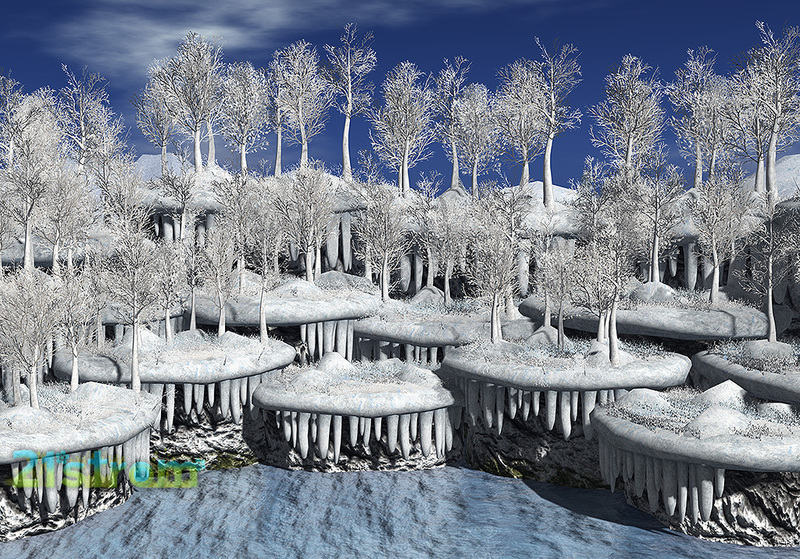 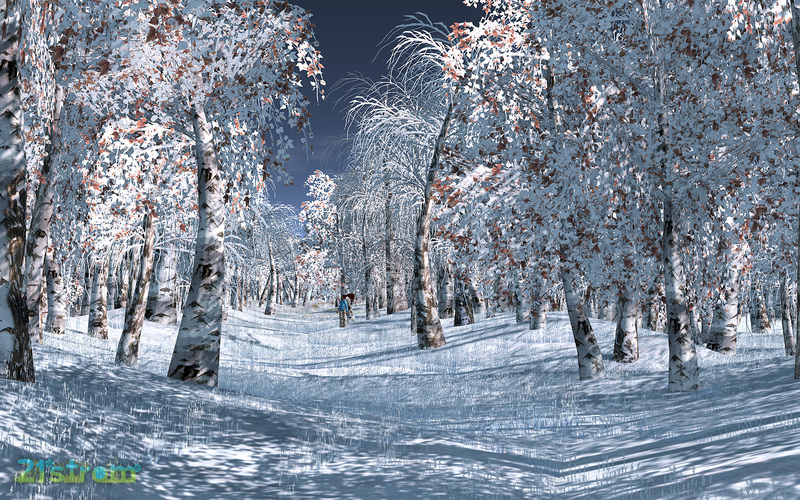 Every tree is a linkset of 2 prims with different texture for needles, or just one prim object. 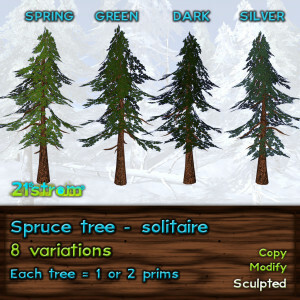 Each item is copy and modify.